Well that’s a wrap for 2014. 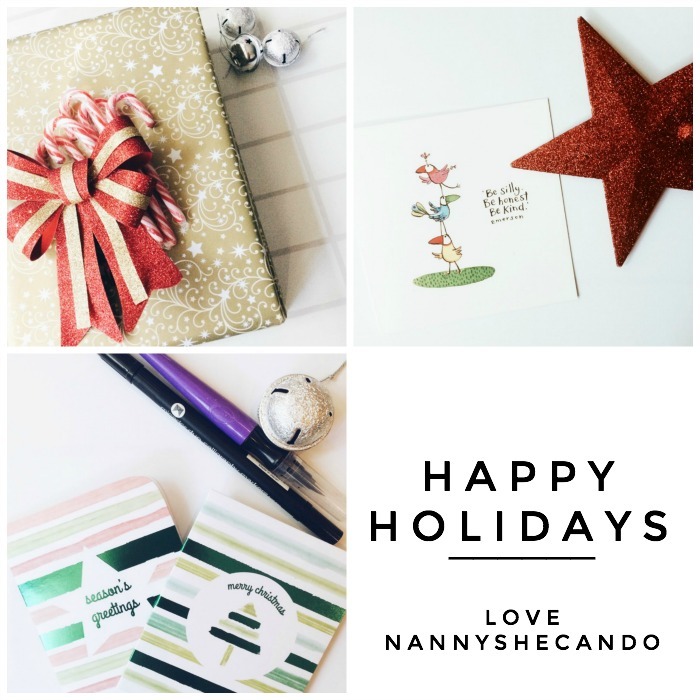 Wherever you are reading this throughout the world, I want to thank you for being part of the NANNY SHECANDO community. It’s been a huge year for us. We grew from a tiny little blog sharing random things that kids said to me in the nanny life, to an even bigger online presence sharing nanny + childcare related information for the international nanny industry. This year I took a major leap and transitioned to a new nanny family (with new super cute kiddos of course), and made the decision to cut back my nanny work hours so that I could pursue and invest more into both NANNY SHECANDO and Hope For Nannies. 2014 then saw the launch of Hope For Nannies – designed to support and equip nannies to take control of their careers and go PRO on their terms! I also kicked off the premier program – Resumé Reboot – and began working with a bunch of seriously talented nannies worldwide who are all well on their way to becoming ROCKSTAR nannies. Proud mamma moment. I’m off on a quick holiday tomorrow to reconnect with friends & family over the festive period – bring on the champagne! I wish you a truly merry, happy, joyful and safe festive season with your loved ones, and I look forward to meeting you back here on the 6th January 2015 to kick off another power house year in the nanny life. Speaking of 2015 – I’ve got some super big things planned. More details will hit your inbox in the New Year, but I can tell you it’s going to loaded full of fun! 2015 will see a new book review column on the blog, we’ll be introducing a new permanent contributor to the NANNY SHECANDO team, and featuring regular guest blogs from some seriously talented nannies. The Nanny Industry Spotlight will continue and I can tell you there are some big names (both agencies, nannies + educators) on the features line up. There’ll also be professional and personal development resources to help you grow + invest in yourself, a new range of educational based blogs + activities to do with your kids, and a strong focus on health and wellbeing (both for nannies, childcare professionals and the kiddos). Plus, stay tuned for a super big announcement when Hope For Nannies not only launches the next coaching package, but delivers an Australian based event purely dedicated to benefit nannies + their careers. Stay tuned, bookmark your calendars, enjoy a restful + rejuvenating Christmas break, and we’ll meet back here on the 6th! Congratulations on all your 2014 successes and best wishes for all your plans for 2015. It has been wonderful to share in your journey. I look forward to seeing what 2015 brings your way.